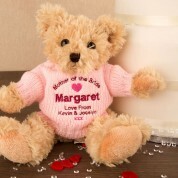 A personalised teddy bear helps to celebrate memories. 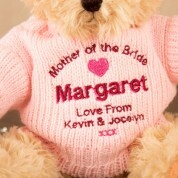 It a nice gift to present to your mum at the wedding breakfast to say thanks for all her help leading up to the big day. 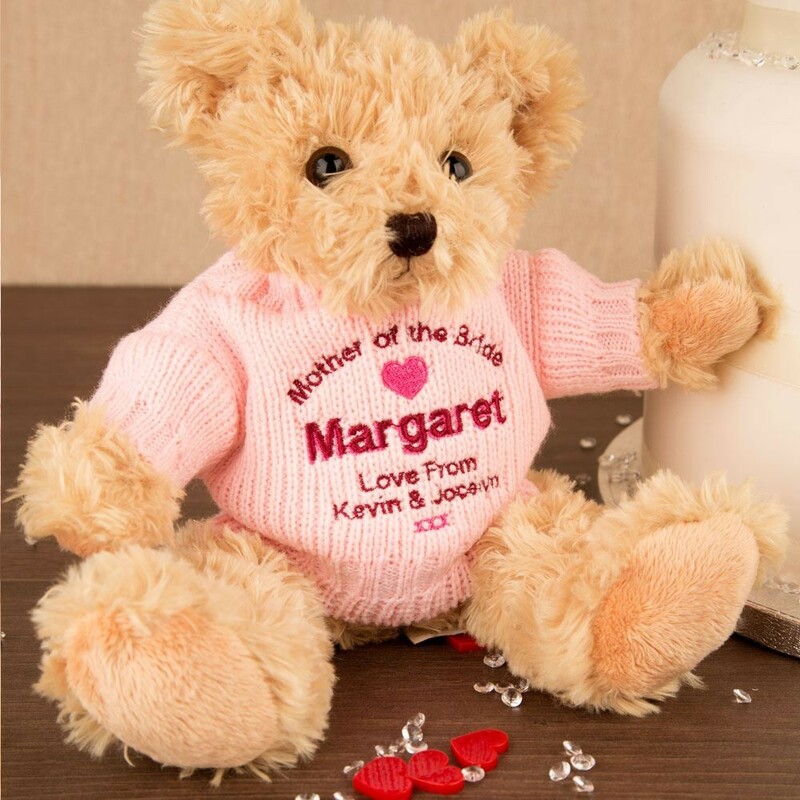 She will appreciate this gift and display it in her room on a chest of drawers or a side table. 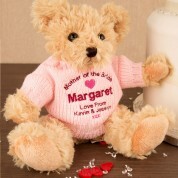 Dimensions: approx 22cm tall when sitting, not jointed, weighs approx 135 grams.